85% of consumers are searching for local businesses online, and Google has 70% of global search engine market share. Think about how many more customers you could get if you have better representation on Google. Creating a profile for your business on Google My Business will allow you to take advantage of these business opportunities. 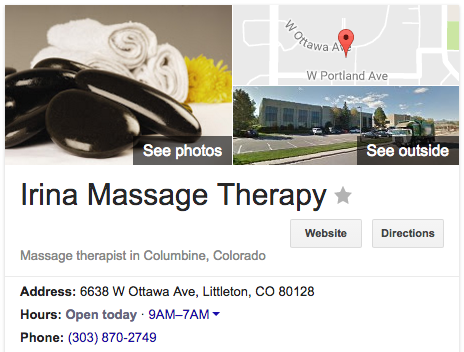 Your Google My Business listing brings you 4 important benefits. 1. Enjoy better search visibility. Ever wondered why some businesses you search for are not only listed in the regular search engine results, but also featured in the panel on the right-hand side? It’s because they signed up with Google My Business. The panel greatly increases your exposure and helps your business stand out from others. 2. Provide accurate business information. After being verified as the business owner, you can control how you appear on Google Search and Google Maps. You can edit your business details from your account and they will be automatically updated on Google Search and Maps. 3. Showcase the best about your business. Google gives you an unlimited space to share all aspects of your business with your customers. You can add photos of your business. You can even provide your customers with a virtual tour. Google will produce reports and analytics to help you understand how your customers are interacting with you and what’s working. You can also read customers reviews on your Google listing and respond. The listing setup flow is pretty intuitive so we will not recreate the whole process here. Instead, we will walk you through a few things to take note of at each step. You’ll need a Google account. If you don’t have one, sign up here. Your name should reflect your business’s real-world name, as used consistently on your storefront, website, and as known to customers. Tip: If you have a generic name, it might be lost among other similar results. However, remember that adding unnecessary information to your name is not permitted. 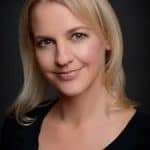 If you find that your business never shows up in the side panel, you might consider changing your business name to something more unique or location-specific. 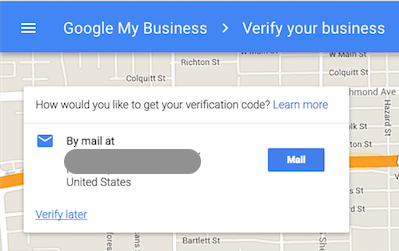 After you enter your accurate business address, make sure you allow Google to mail you a postcard with a confirmation code to confirm your address. If you don’t, your business will be shown as “unverified” to the public. Businesses that fail to verify their information with Google My Business are twice less likely to be considered reputable by consumers. 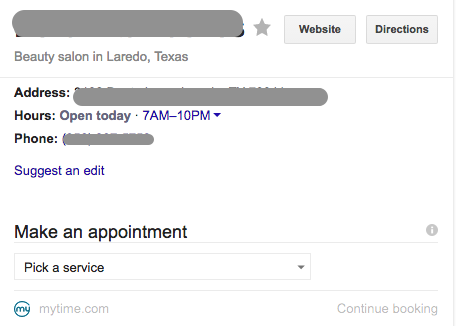 If your business is already listed on Google, you should have the option for them to call you immediately to confirm your address. Tip: If your address doesn’t have a street number, or you’re sure that you’ve entered the address correctly but the system still can’t find it, you can pin your business’s location directly on the map by following these steps. Provide the phone number that connects to your individual business location as directly as possible. Tip: If you can’t find a category for your business, choose one that is more general. Use as few categories as possible to help your customers find you with higher accuracy. Try to upload photos that show various aspects of your business. Your logo will help customers recognize your brand, and your cover photo should showcase the personality of your business. You can set one as your “profile photo” but it might not necessarily be used. Instead, Google will consider a number of factors, like how well the photo represents the services or products the business offers, and assign one photo to be your profile picture that appears alongside your business name on Google Maps and Search. Tip: Businesses that add photos to their listings receive 42% more requests for driving directions on Google Maps and 35% more clicks through to their websites than businesses that don’t. 80% customers trust online reviews as much as friends and family recommendations. Simply reminding customers to leave feedback on Google can help your business stand out from sites with fewer reviews. As you receive reviews, make sure to respond to reviews and show that you value your customers’ input. 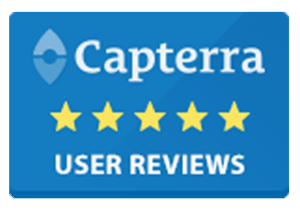 MyTime’s Reputation Manager not only helps you generate more reviews, but also makes sure the reviews are from verified customers. If you work with a third-party service that allows you to take online bookings, such as MyTime, the link to your booking page will appear automatically on your Google listing. Your customers will be able to see all your services directly and book appointments with you online. This effectively converts prospective customers into your paying clients by making it easy for them to take action. MyTime’s exclusive integration with Google Search, Bing, and Facebook brings merchants 20-30% of their online bookings. Google My Business gives you higher search visibility, accurate business information on Google Search and Google Maps, an unlimited online space to showcase the best of your business, and a channel to understand and interact with your customers. Start now for FREE.